Catch and eat amazing seafood on our exhilarating seafood and fishing charters. Mandurah is the seafood capital of Western Australia. And Mandurah Cruises’ experienced guides know exactly where to find the finest delicacies of the region. Enjoy one of our seafood and fishing charters to become part of the action. Catch your own world-famous Blue Swimmer Crab, pull up a crayfish and cast out for a Dhufish, Snapper, Samson or Baldchin Groper. We’ll then cook your catch, so you get to experience the freshest seafood possible – straight from the ocean to your plate on our Catch & Eat Crab Tour and Wild Seafood Adventure. If you’re serious about fishing or would like to try your hand at reeling in a ‘big one’, we have a range of charters to suit your time and budget. Two-hour, half-day or full-day adventures are all available, with everything you need to hook a catch included. All our seafood and fishing charters are hosted on our luxury, purpose-built fishing charter vessel, Reel Affair II. With 2 levels, front and rear decks, and cabin air-conditioning, this is the ultimate fishing charter boat. 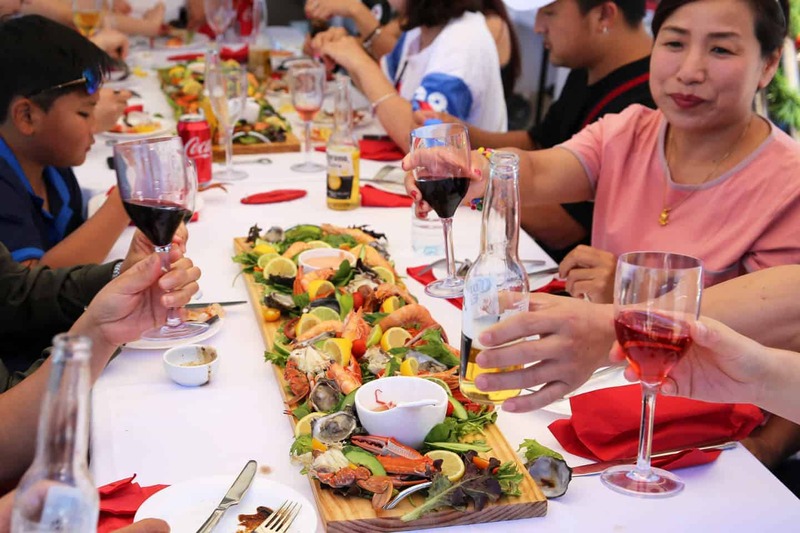 A seafood and fishing charter tour with Mandurah Cruises is adventurous, tasty and a unique experience to remember! Browse our tours and book online using the links below or Contact Us for further details.